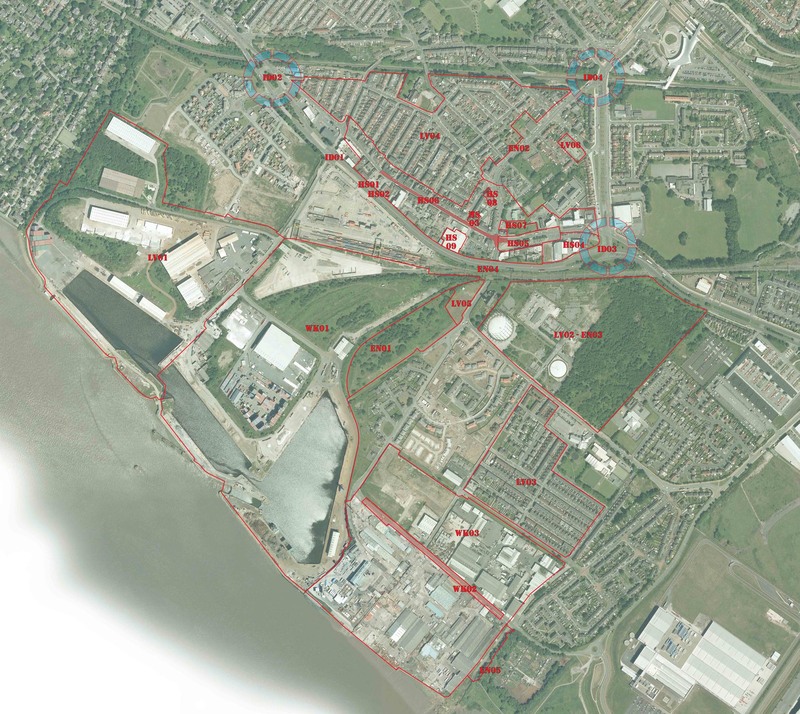 URBED were appointed by Liverpool City Council in January 2013 to develop a masterplan to guide future development in Garston, South Liverpool. A fundamental aspect of the project was to understand why the high street - St Mary’s Road was experiencing decline and look into ways to turn this around. For this project we teamed up with market development and asset analysts Eye and transport planners and engineers Fore Consulting. The project was directed by three consultation workshops with local people and a number of meetings with local land owners and stakeholders, (notes summarising feedback from these sessions can be downloaded above). The team also sparked a relationship between the Councils development team and the consultancy managing the largely redundant National Grid site, to work together in bringing the site forward for residential development. - Creating a new park on Dinglebank - this was raised land owned by the council, which acted as a buffer to the port. The team also followed interest in publicising the site for the location of a potential Skate Park, which could be delivered as part of the Mayor of Liverpools initiatives. The teams recommendations for the high street was to entice small businesses in to occupy the units with lower rents. The Garston Space Agency idea was developed as a mechanism to facilitate this. The agency would be a team with a unit on the high street, who would market vacant properties and refurbish and maintain them to improve the attractiveness of the street. Another problem faced by the high street was that the ‘anchor’ store which is a supermarket which attracts people to the high street, had recently closed down and so footfall had decreased having a negative impact on other shops on the high street. The team got in touch with other supermarket chains to analyse their interest in the site. It was decided that a better and more marketable site could be located further down the high street, so this was incorporated into the project list and another non-food retail use was pursued for the now vacant store. An important aspect of the project was making sure projects could be delivered in a time of austerity. An essential part of the project was to address sites for new housing development. Future contributions from Developers were then calculated to make sure proposed projects could be funded in the area. The team also developed a list of alternative funding streams which did not put pressure on the local authority. These suggested sources such as Spacehive - where projects were advertised online to attarct investment from the public or from grants and lottery funding. A masterplan and project list was developed alongside a graphical report which detailed our analysis and reccomendations for the area along with information from the consultation workshops. The team also produced a Delivery Plan, a working document which was taken on by the council to update as tasks and delivery partners came forward on each project. You can view the final masterplan report here. The Executive Summary can also be downloaded from the table above. There has been Developer interest in in the sites identified for new housing. The council are currently working through the project list to prioritise and coordinate delivery of the recommendations in the area. Our report is now ready to view here! The report sets out our analysis of the area, feedback from the workshops and concludes with a list of 19 projects to improve Garston and direct new development. We have almost finished putting together the Draft Garston Village Masterplan Report. This report will include our analysis of the area, feedback from the workshops and a list of 19 projects to improve the area and direct new development. We have also produced a Delivery Plan which will provide more detail about each of the projects and identify who will be taking them forward, along with potential funding sources. Once the report is ready, it will be adopted by Liverpool City Council as a non-statutory regeneration policy, and will be used to direct new development and investment in the area. The report will be available to view on our website shortly! 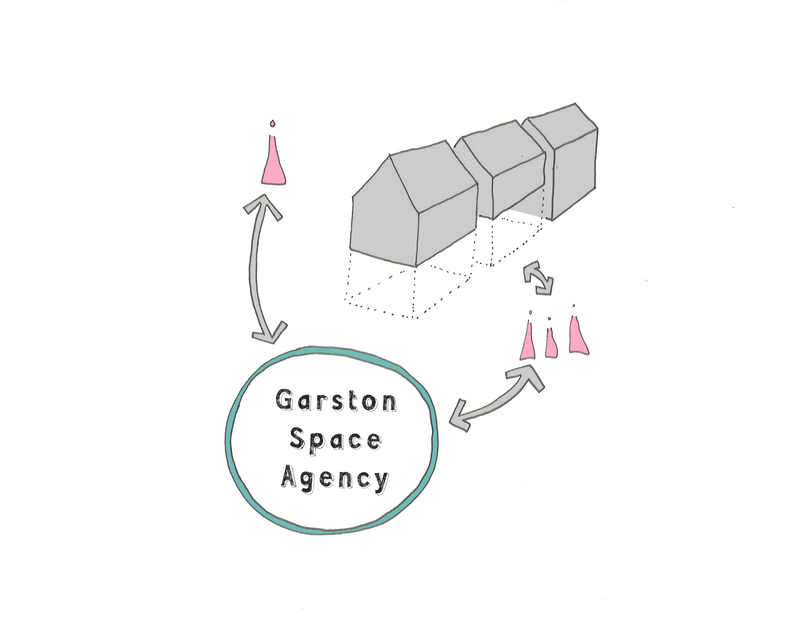 What is the Garston Space Agency? The Garston Space Agency is our solution for bringing vacant and derelict properties on St Mary's Road back to life. It will do this by enticing new businesses onto the high street by offering low rents. Remove financial pressure of paying business rates on a vacant unit. Potential for property to increase in value as high street becomes more populated. Opportunity to have a front door onto street for clients to visit/ collect items. Potential to fit out space for own needs. Tenants fit out the shops improving their appearance. More people working in the area and spending time in Garston. More reasons for people to visit Garston. Third Consultation Workshop - Thank you! Thank you to all those who attended the third and final consultation last Tuesday. We were really pleased to see people enthusiastic about our proposals for Garston and welcomed your feedback and questions. If you haven't done so already, please take a look at our proposals and answer an online questionnaire to let us know what you think! URBED and the team will be producing a Delivery Plan which will identify the projects to be taken forward in the area and provide an analysis to why these have been chosen and how these will be funded. We hope you will be able to attend one of our upcoming events at the Enterprise South Liverpool Academy (details are in the blog posts below). The exhibition boards we will be displaying are now available to view online under downloads and an online questionnaire will be available shortly for you to tell us what you think! 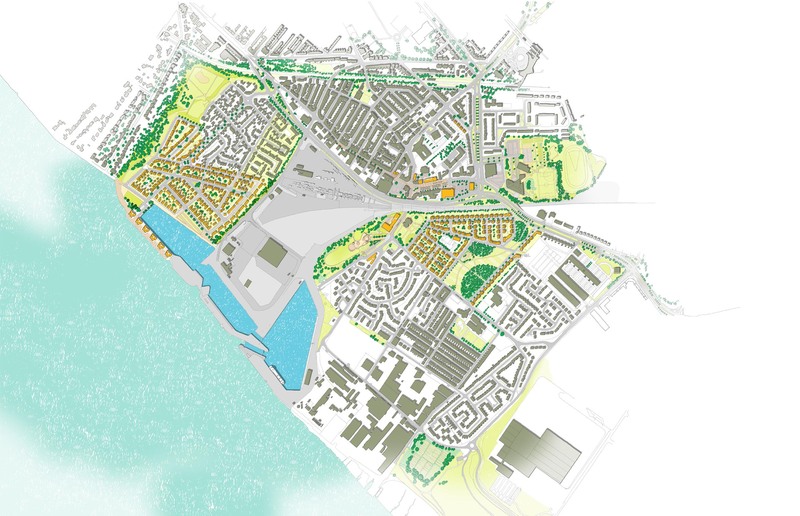 We will be exhibiting the masterplan at the South Liverpool Homes Neighbours Day. Please drop by to view our proposals and tell us what you think! You are welcome to join us from 5pm, to view the proposals over tea and coffee. The workshop will then start at 5:30pm, with a short presentation followed by an hour of roundtable discussion in groups to get your thoughts and opinions. The session will end at 7pm. Second Consultation Workshop - Thank you! A big thank you to all those who attended our second consultation workshop at the Enterprise South Liverpool Academy on Tuesday 16th April. We were pleased to hear that participants were optimistic about our plans for Garston, your comments and feedback was very much appreciated. Following feedback from the workshop, the URBED team will be meeting with the council to develop the final plans. We will be exhibiting at the South Liverpool Homes Neighbours Day on Friday 31st May, so please come along. More details will be sent out closer to the time via our mailing list, so please sign up if you wish to keep up to date with progress. URBED would like to invite you to our second consultation event in Garston. The session will take place from 5-7pm on Tuesday 16th April 2013 at the new Enterprise South Liverpool Academy. We have come up with a number of options for a masterplan, taking on board comments from the previous consultation evening and stakeholder meetings. We will be displaying these options on the day and would love to get your feedback and hear what you think. Please save the date and tell friends, family and colleagues to come along and tell us what they think. Thank you to all those who attended the workshop on Wednesday 13th March. 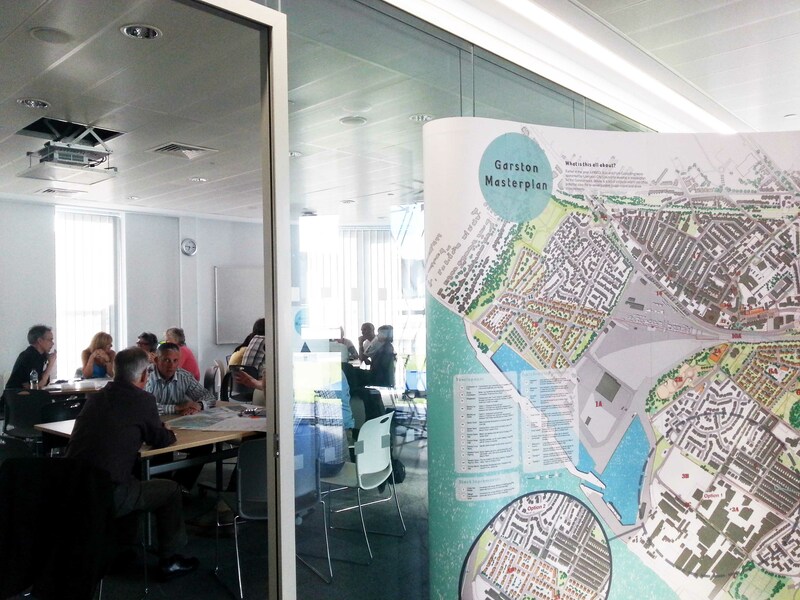 37 local residents, businesses and stakeholders participated at the event and shared some great ideas about Garston. URBED will be developing the masterplan options over the next few weeks. Sign up to our mailing list to keep up to date with progress and to get information on the next consultation events. The High Street needed improving, there are too many vacant shops and not enough variety. There should be more green open space, under-used and industrial sites should be opened up to the public. Regeneration should be inclusive of Garston Under the Bridge as well as the Village. The high street should offer a wide variety of bars, restaurants and cafes, like Lark Lane or Allterton Road. You wanted to see more high quality housing in the area with a mix of tenures. Garston should be a destination and offer spaces to shop, relax and enjoy. You are invited to attend our first consultation session on Wednesday 13th March 2013 at Garston Urban Village Hall. We will be holding a workshop between 5 - 7pm to introduce the team and give participants a chance to discuss what Garston is like today and what it should be like in the future. We hope to see local residents, stakeholders, businesses and community groups in attendance, please spread the word! Please sign up to our mailing list to recieve information on future consultation dates and progress on the Garston Masterplan.